Google has been working on a plan to install an ad blocker onto its Chrome browser for both desktop and mobile versions, The Wall Street Journal reported this week. It also has been considering a collaboration with Microsoft, Facebook and other firms to develop a set of standards that would determine which types of advertising to block from websites, according to AdAge. That effort presumably would aim at enhancing the consumer experience in a way that would not jeopardize ads from legitimate firms. Google has been working closely with the Coalition for Better Ads and industry trade groups to explore a multitude of ways to support the Better Ads Standards, said a company spokesperson who declined to comment on the Chrome ad blocker rumor. A group of major social media, advertising, trade and other groups last year formed the coalition to help standardize a set of protocols for eradicating malicious, fraudulent or annoying advertising from websites, while making sure consumers could see legitimate Web ads. 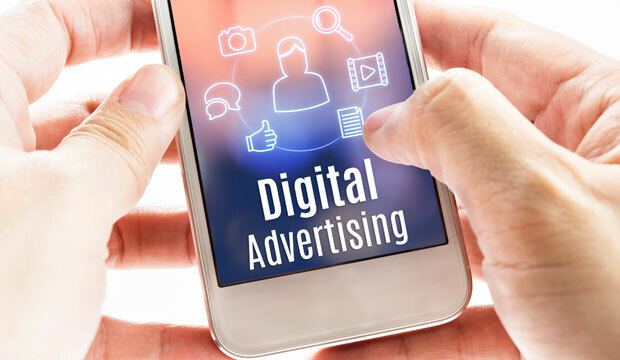 Online advertising is the revenue lifeblood of many online firms, and the most attractive way for advertisers to reach their customers, particularly younger people. Google and other companies in the Web search and browser arena have struggled to find ways to eradicate abusive advertising in recent years. Google earlier this year announced that it had removed more than 1.7 billion bad ads from its various websites in 2016 — more than double the prior year totals. Facing several major suits and investigations related to abusive advertising, Google launched a crackdown on advertising from payday loan operators’ trick-to-click ads, ads that injected malware, ads that peddled illegal pharmaceuticals, and other types of fraudulent or abusive advertisements. Two-thirds of more than 1,000 ad-blocking consumers polled said they would remove the blocking tools if they were convinced the ads did not contain malware, would not slow down their browsers, and would neither block content nor unleash annoying music or video, the Interactive Advertising Bureau reported last year. It was on the heels of that report’s release that advertising firms, trade organizations, search engines, social media companies, traditional media companies and others — among them IAB, Facebook, Google, The Washington Post and News Corp. — formed the Coalition for Better Ads with the goal of improving consumers’ online advertising experience. The coalition last month released Initial Better Ad Standards, a comprehensive report based on research involving 25,000 desktop and mobile Web consumers in North America and Europe. The coalition ranked four types of desktop ads — pop-up ads, autoplaying video ads with sound, prestitial ads with countdown and large sticky ads — as falling below consumer standards. The study showed a total of eight mobile ad types that fell below standards, including ads with density greater than 30 percent, flashing animated ads, full screen scroll-over ads, and postitial ads with countdown. “This is a good move by these organizations, as malicious ads have been a good way to drop ransomware and other threats on unsuspecting victims,” said Jon Clay, global threat communications manager at Trend Micro. “There have also been a number of cases where third-party ad blockers have been used as a disguise for malicious apps,” he told the E-Commerce Times. The use of ad blockers raises a question of gatekeeping, however, Clay pointed out. Who would determine which ads would be allowed to display and which would not? One solution might be to allow the end user to be in charge of the types of ads allowed. Although it’s not likely that installing ad blockers would harm Google enough to hurt the company’s bottom line, it could make the return on posting to Google sites less attractive for publishers, noted Rick Edmonds, media business analyst at Poynter. Microsoft, which reportedly has been working on ad-blocking software for Edge, declined our request to comment for this story, saying it does not comment on rumors and speculation.